« Parabens & SLS in Dog Shampoo – Are They Harmful? For many years, DERMagic has focused on bringing the best, most effective, natural skin care solutions to the pet industry. That means using only the finest organic ingredients in our products. One recurring herb you’ll see in our products is rosemary and we want to tell you why. Rosemary (rosmarinus officinalis) is an herb native to the Mediterranean. This woody, fragrant herb was always well known for its healing power. The name itself comes from the Latin ros (meaning dew) and marinus (meaning sea), which translates to “dew of the sea”. According to Greek legend, rosemary was draped around the neck of Aphrodite as she rose from the sea. Later, it was seen in Christianity when the Virgin Mary spread her blue cloak over a white-blossoming bush, turning the flowers blue. The shrub is even now often referred to as the “Rose of Mary”. The history of the plant includes historical tales of Hungary, when Queen Elisabeth of Poland used it to “…renovate vitality of paralyzed limbs…” and to improve gout. In Australia, it was used on Remembrance Day to signify memory and it was used throughout Europe as a remembrance of the dead because of its remarkable ability to improve cognition and memory. 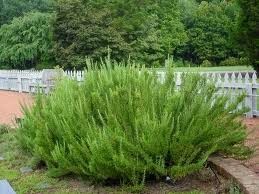 Egyptians used rosemary for incense in cleansing rituals, and during the plagues of the middle ages, it was used to drive away evil spirits and protect against infection. We like it in our kitchen because it converts an ordinary hunk of pork into an exquisitely flavored roast tenderloin! But that’s not why we use it at DERMagic. 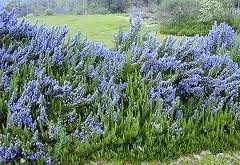 We use the finest rosemary essential oil from Spain for its medicinal properties and there are many. Rosemary has been proven to stimulate blood flow to the brain, reduce damage to the nervous system, and decrease the effects of aging. It has even been shown to improve cognitive function and scientists are studying its effects on nerve cells. This brings us to the many benefits of rosemary for the skin and coat of our pets. 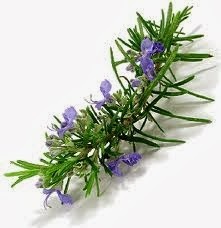 Rosemary has a stimulating effect on nerves, and especially hair follicles, which helps to encourage hair growth. It has a warming effect on cold limbs and can help alleviate arthritic pain aggravated by cold winters. Rosemary contains many biologically active compounds, including antioxidants such as Carnosicacid and rosmarinic acid. It also contains camphor, caffeic acid, ursolic acid, betulinic acid, and rosmanol. These acids are wonderful for revitalizing skin and refreshing arthritic limbs. Fleas and ticks hate it, so it makes a wonderful rinse for ridding your pet of these pesky critters. And it serves as a natural preservative, extending the shelf life of our products in addition to making them smell fabulous. But perhaps most importantly, for our purposes, it helps to restore hair loss, also known as Alopecia X (or "hair today, gone tomorrow" syndrome). These are just a few of the reasons we use rosemary in so many of our products. We’ll take a look at some of our other wonderful ingredients, including Shea Butter, whole-leaf certified organic aloe, and more. Until then, plan to plant some rosemary in your herb garden this spring. It’s delicious in almost everything and its scent when you brush by it is uplifting, almost spiritual. Revel in it. "Where Rosemary flourished, the woman ruled."